19 July 2013: The Pixel Project, the global virtual volunteer-led non-profit working to end Violence Against Women (VAW) worldwide and Microsoft Malaysia are proud to jointly announce the start of a brand new partnership which is part of The Pixel Project’s first intake of Technology partners. This partnership will see Microsoft collaborating with The Pixel Project on a range of current and upcoming Pixel Project online campaigns and projects that are designed to raise awareness, funds and volunteer power for the movement to end Violence Against Women. Microsoft will be contributing their world-class technology expertise, tools and development support to The Pixel Project’s global campaigns. They will be collaborating with The Pixel Project to create online apps and virtual tools that will help facilitate social media campaigns, virtual communities and online fundraising initiatives. Microsoft employees will also take an active role in helping raise awareness about VAW by participating in various Pixel Project activities including the Paint It Purple campaign for Domestic Violence Awareness Month, the “People and Pets say NO!” photo statement project and the “30 For 30” Father’s Day blogging campaign celebrating fathers as male role models. 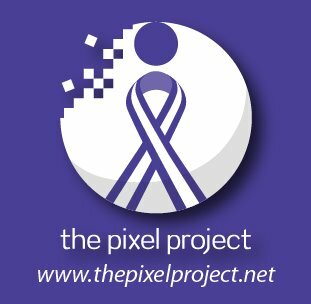 The Pixel Project is a complete virtual, volunteer-led global 501(c)3 nonprofit organisation whose mission is to raise awareness, funds and volunteer power for the cause to end violence against women using the power of the internet, social media, new technologies and popular culture/the arts. Their flagship project is to turbo-charge global awareness about VAW using social media while raising US$1 million for the U.S.A.’s National Coalition Against Domestic Violence, The Pixel Project and other anti-Violence Against Women nonprofits by getting a global audience to collectively unveil a million-pixel mystery collage of Celebrity Male Role Models at US$1 per pixel. Congrats! Great partnership. Looking forward to see the fruits that would come from this partnership, that would be translated into the good cause.